A new treatment for hypercholesterolaemia is now available in the UK for some patients. Alirocumab (Praluent) can be used in patients who are unable to reach their low-density lipoprotein (LDL), or ‘bad’ cholesterol treatment goals, despite modifying their diet and taking a maximum tolerated dose of a statin and/or other lipid-lowering therapies. Patients set to benefit from the treatment include those with high levels of LDL cholesterol; an inherited form of high cholesterol levels – heterozygous familial hypercholesterolaemia (HeFH); and patients who are statin intolerant, or contraindicated. 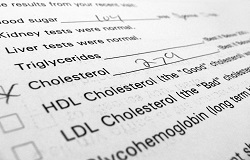 High cholesterol levels represent a major risk factor for cardiovascular disease (CVD). Each year, CVD accounts for a quarter of all deaths in the UK – about 155,000 people. Only 24% of high risk patients – which includes those who have already had a heart attack and who are on statin monotherapy - achieve their optimal LDL cholesterol goal of <70mg/dl. Although CVD death rates have fallen, healthcare costs to the NHS in England have risen from £6.94 million to £7.88 million between 2003 and 2010 due to an increase in the costs associated with managing these conditions. Alirocumab is a PCSK9 (proprotein convertase subtilisin kexin type 9) inhibitor that was jointly developed by Sanofi and Regeneron Pharmaceuticals. PCSK9 is a naturally occurring protein that prevents the liver from clearing LDL cholesterol out of the blood. Alirocumab works by blocking the action of PCSK9, thereby allowing the liver to clear more LDL cholesterol from the blood, and so reducing LDL cholesterol levels. Alirocumab is currently the only PCSK9 inhibitor with the flexibility of being available in two different starting strengths (75 mg and 150 mg), and is to be used once every two weeks as a single 1-millilitre (ml) injection. The marketing authorisation of Praluent is based on data from 10 pivotal Phase 3 ODYSSEY trials. Results showed consistent reductions in LDL cholesterol for alirocumab compared to placebo or ezetimibe, when added to current standard-of-care.